I don't follow football, or any professional sport. 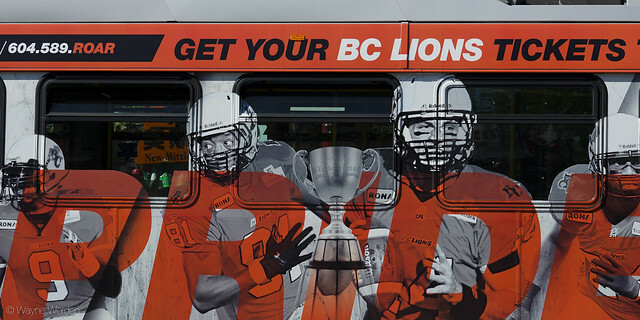 But I'm happy to have the BC Lions' 40' bus-side ads to shoot. I will have to find a Hamilton Ti-Cats bus to complement yours! Thought it was the actual lion shot. Nice capture.